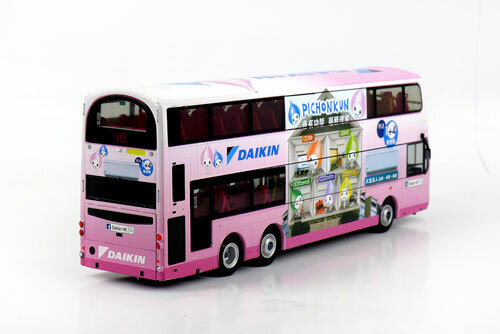 The model - this overall advertising model for Daikin was a surprise release on 4th November 2015. 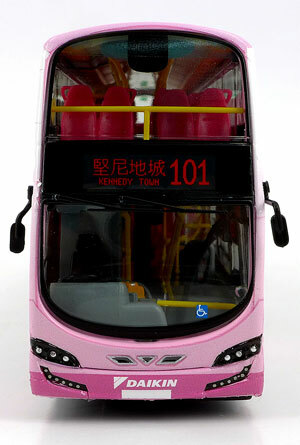 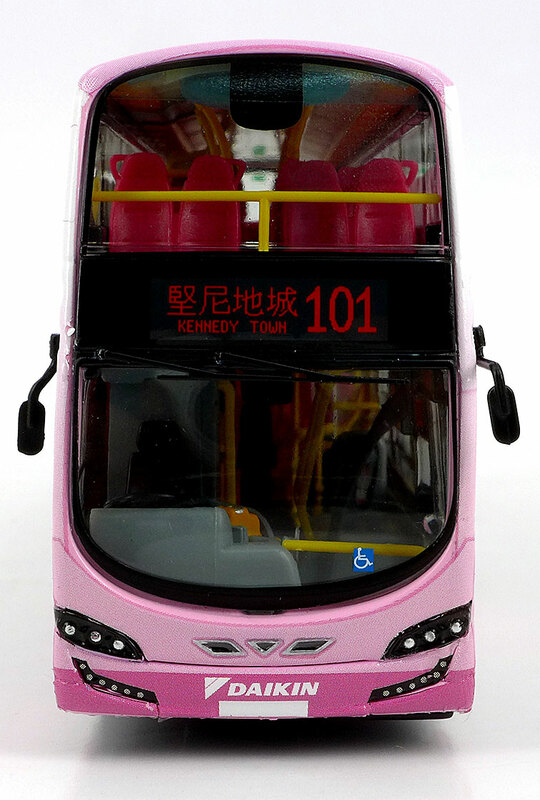 Whilst representing Kowloon Motor Bus AVBWU376, which carried this livery, the model does not display registration numbers or fleet number, nor does it have any KMB logos. 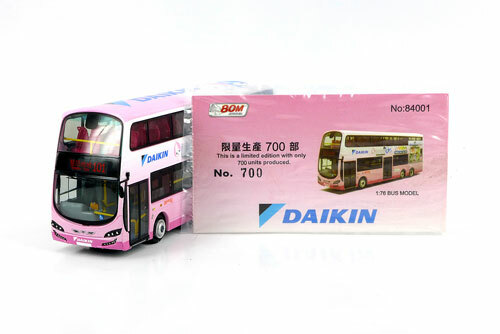 Daikin is the global leader in the manufacturing of commercial and industrial air-conditioning systems. 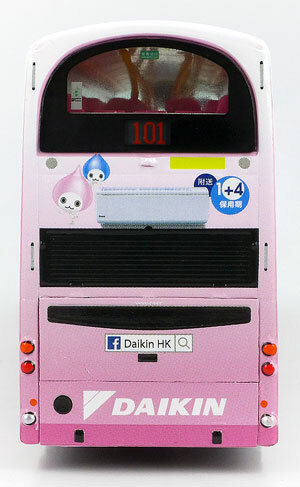 It carries images of Daikin's mascot, Pichonkun, which was launched in 2003. Several other buses carried similar Daikin liveries, many of which were featured in the News for 6th April 2015. 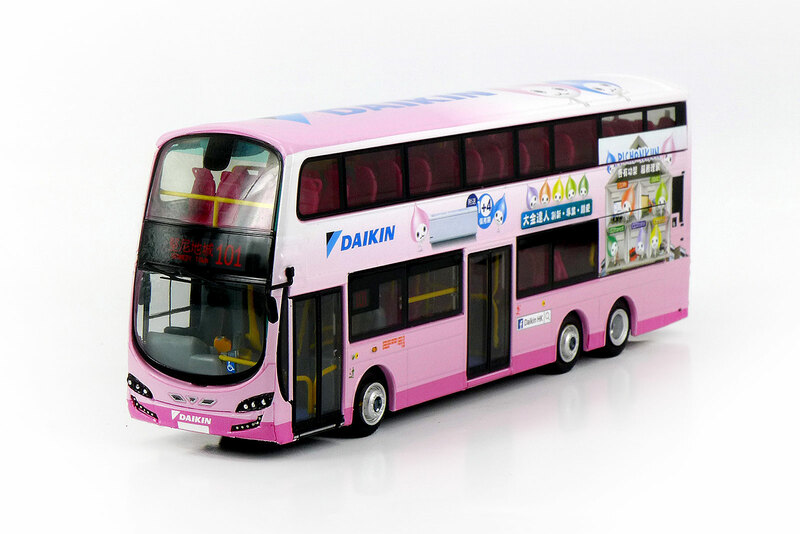 The bus - AVBWU376 is one of the second batch of Wrights Gemini 2 bodied Volvo B9TLs, entering service on 29th November 2014. If you have a photograph of the actual bus and are willing to share this, please e-mail me.